동해시 두타산과 청옥산을 배경으로한 약 4㎞에 달하는 계곡이다. 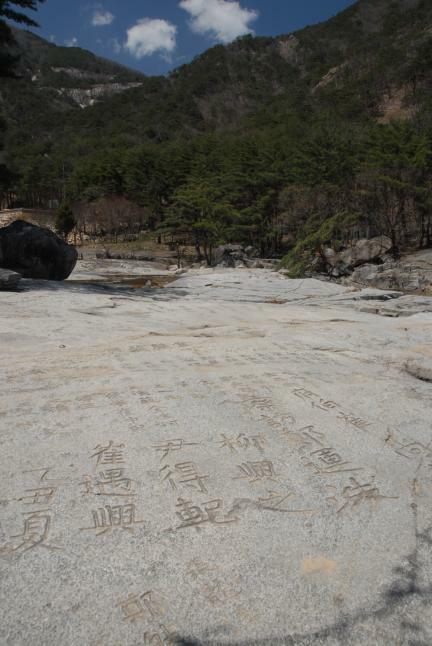 수 백명이 앉을 수 있는 너른 무릉반석과 호암소, 선녀탕, 장군바위, 쌍폭, 용추폭포 등 다양한 지형이 펼쳐져 ‘동해안 제일의 산수’라 할 정도로 자연경관이 아름답다. 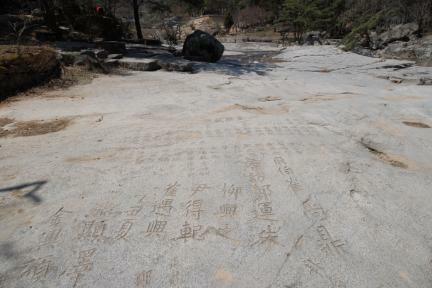 무릉계곡 이름은 조선시대 삼척부사 김효원이 붙였다고 하며, 고려시대 동안거사 이승휴가 를 저술하였다고 한다. 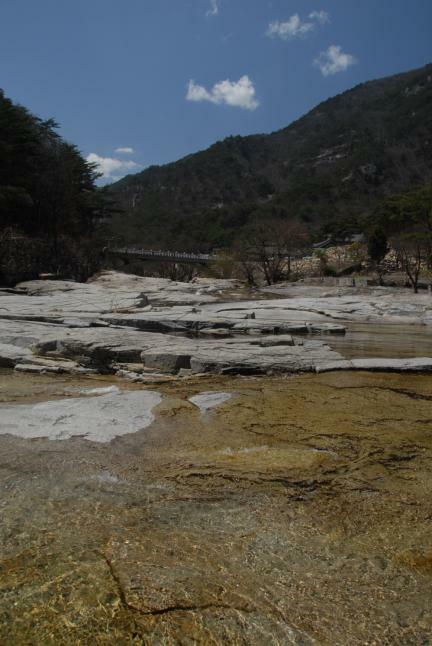 1,500여 평의 무릉반석에는 조선 4대 명필가인 봉래 양사언의 석각과 매월당 김시습을 비롯한 수많은 시인묵객들의 시가 새겨져 있어 이 곳이 옛 선비들의 풍류공간이자 수행처였다는 것을 알 수 있다. 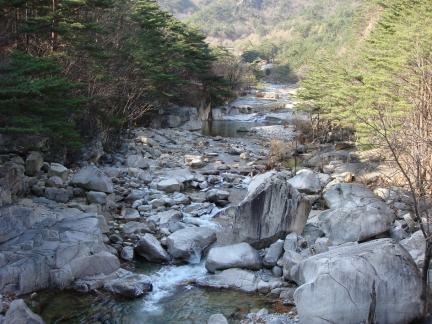 바위가 갈라지며 생겨난 폭포와 기암절벽들이 독특하며, 특히 바위가 두 방향으로 갈라지며 생겨난 쌍폭과 동서 방향으로 갈라지며 생겨난 절벽에 따라 용추 소가 특이한 경관을 연출하고 있다. 이렇듯 무릉계곡은 화강암의 침식 및 퇴적을 보여주는 전형적인 지형을 보여 지질학적 가치 역시 매우 높다. 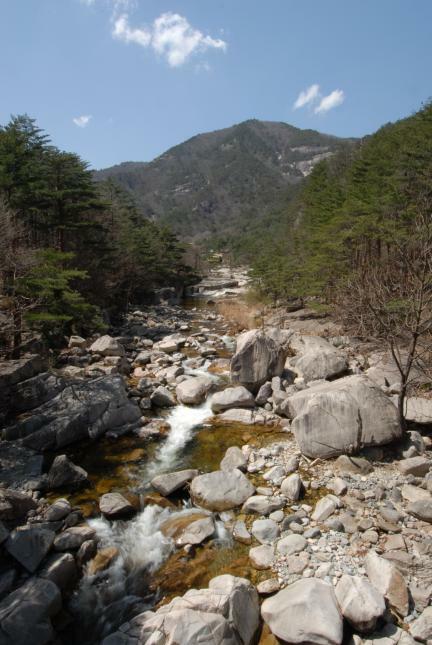 Mureunggyegok Valley in Donghae is known to have "the most beautiful landscapes on the east coast." 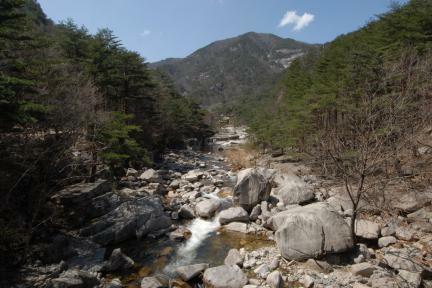 The valley stretches some 4 kilometers, unfolding a colorful spectrum of river topography from Hoamso Spring to Yongchupokpo Falls with Dutasan Mountain and Cheongoksan Mountain as backdrop. 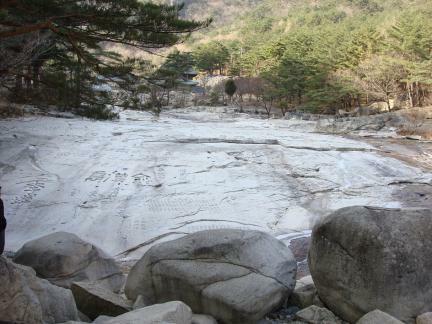 Among the scenic highlights are Mureungbanseok Rock, a huge rock on which several hundred people can sit at a time, Seonnyeotang Potholes, Janggunbawi Rock, Ssangpok Falls, and Yongchupokpo Falls. 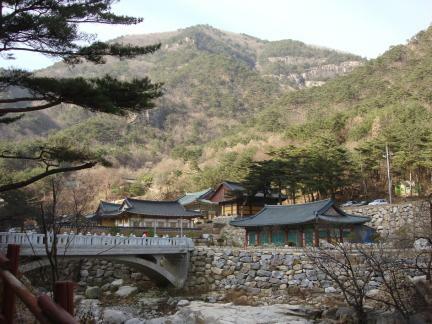 During the Goryeo Dynasty, famous scholar-official Yi Seung-hyu (1224-1300) stayed here and wrote a book about Korean history titled Jewang ungi (Songs of Emperors and Kings). 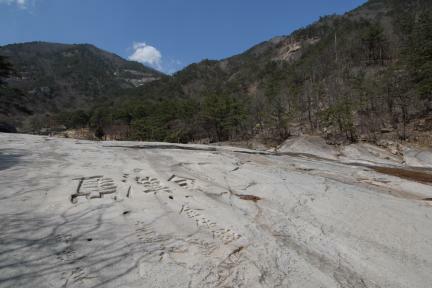 The valley was named by Kim Hyo-won (1542-1590), a magistrate of Samcheok during the reign of King Seonjo of the Joseon Dynasty. 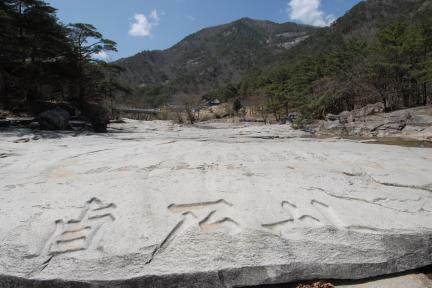 The enormous Mureungbanseok Rock measures approximately 5,000 square meters. 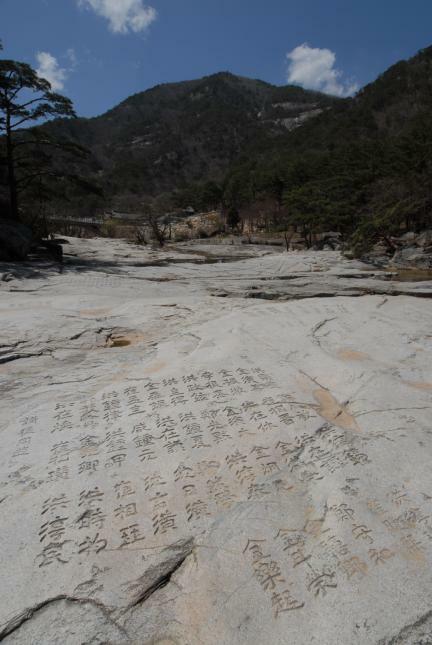 It bears many inscriptions including a carving by Yang Sa-eon (1517-1584), one of the four greatest calligraphers of the early Joseon Dynasty, and poems by many scholars and writers including Kim Si-seup (1435-1493); hence the outstanding historical and cultural value of the valley as a popular resort and a place of spiritual cultivation for ancient scholars. 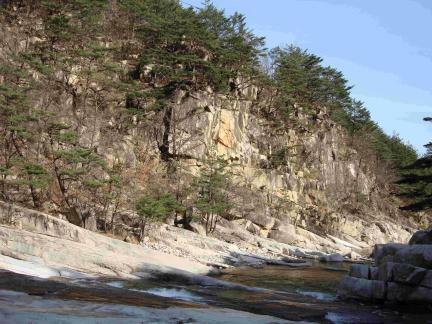 The fantastic cliffs and rock formations along the valley were products of insulation. 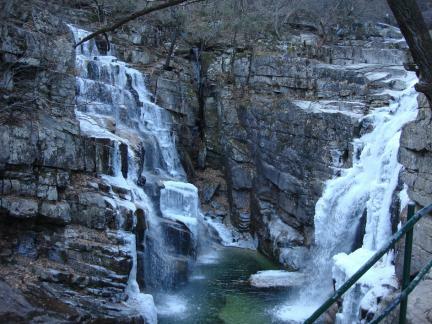 In particular, Ssangpok Falls was formed when joints crossed each other from different directions. 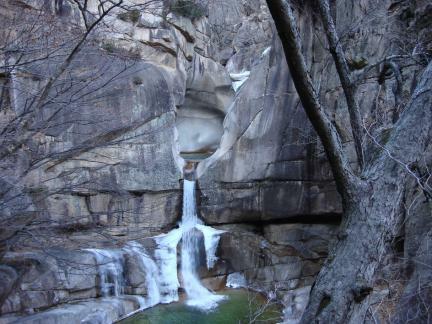 Yongchupokpo Falls features unique scenery, with the lagoon formed along the cliffs resulting from joints occurring from east to west. 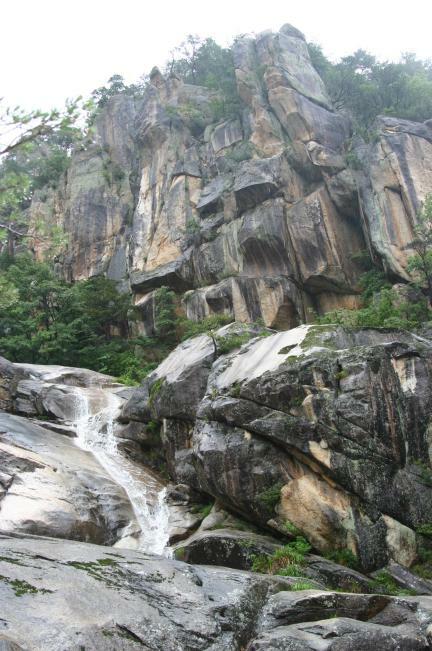 The precipices and falls here are typical of eroded granite valley and sedimentary geology, contributing to the valley's prominent scientific value.